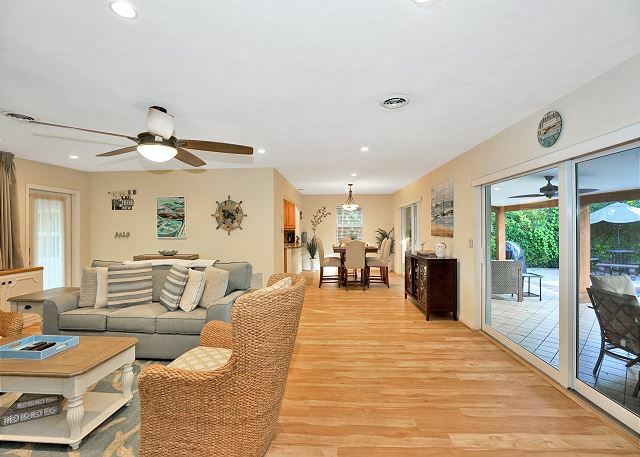 The large covered patio area allows you to enjoy the outdoors and the breeze. There is plenty of room for four vehicles when parked in the front driveway area. Seating surrounds the 60” flat screen TV in the comfortable living room. 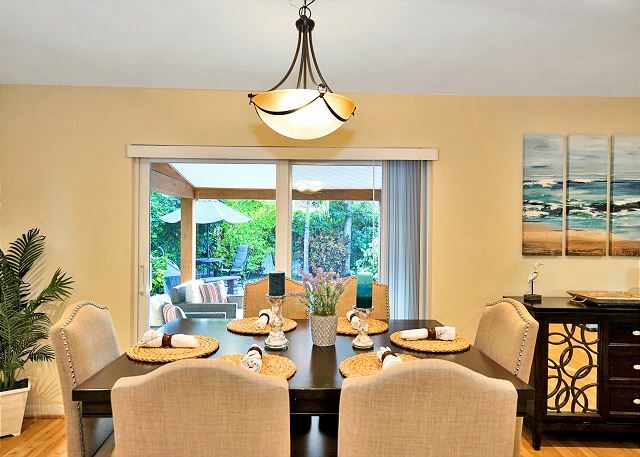 Seating for six at the open dining table is ideal for casual or fine dining. 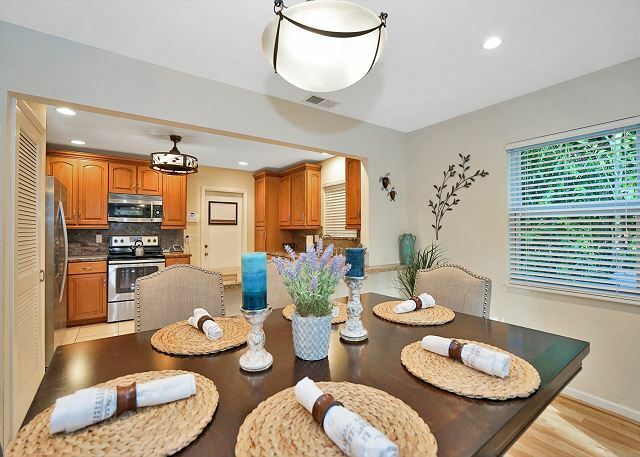 Large open dining room and kitchen areas are perfect for small or large get togethers. 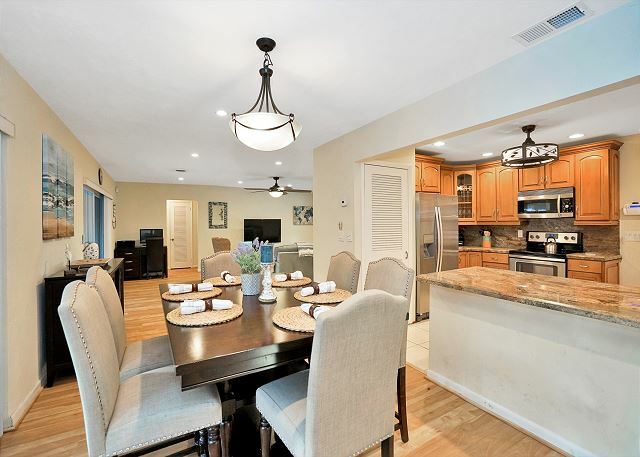 The granite counter top makes it easy to serve your gourmet dishes to the dining room table. 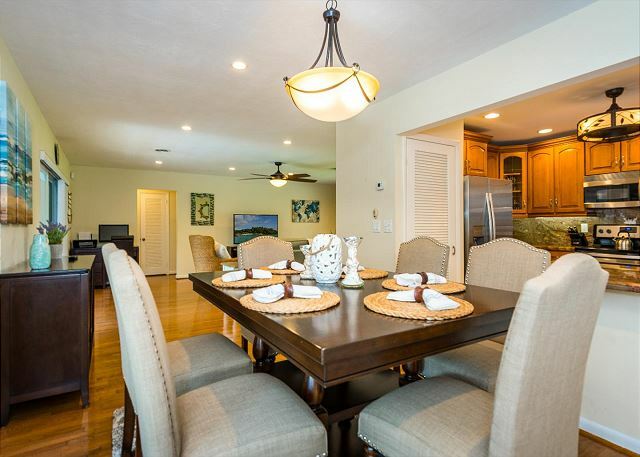 The dining room is large enough for six people to enjoy a gourmet dish. 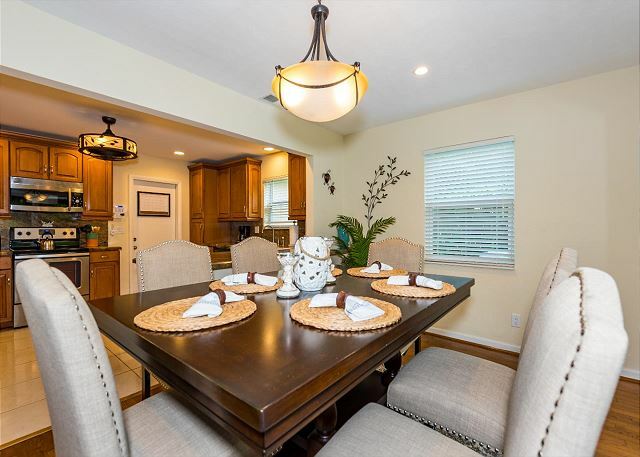 Enjoy an elegant candlelight dinner at the large dining room table. The dining room overlooks the landscaped gardens outside the sliding glass doors. 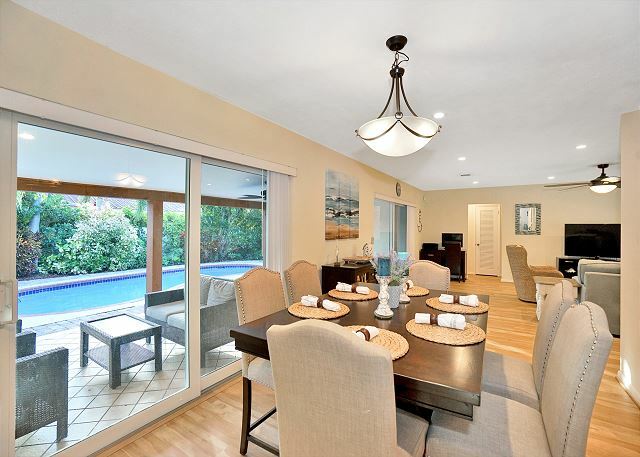 The dining area is perfectly situated overlooking the patio and pool. 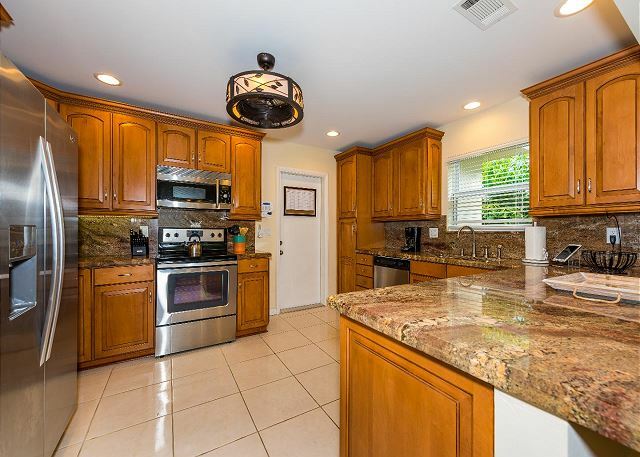 The appliances are stainless steel and the counter tops are solid granite. There's ample counter space in the kitchen for dinner prep. 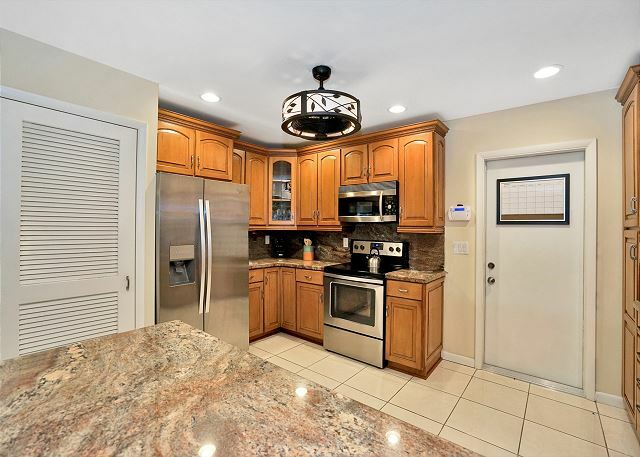 All the essentials can be found in the chef's kitchen including top-of-the-line stainless steel appliances. 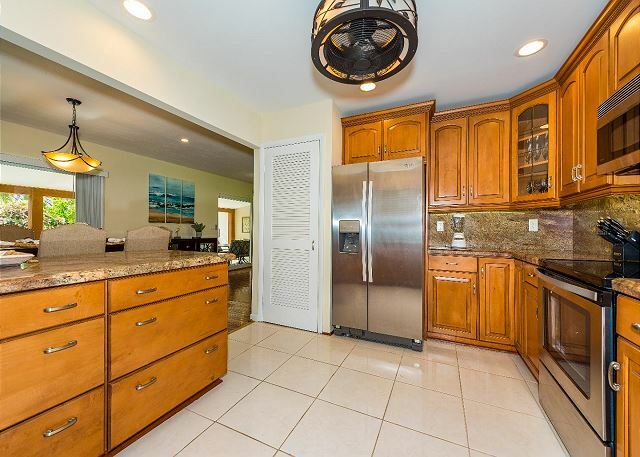 The kitchen features a large French-door refrigerator and a convenient pass thru counter top. Double sinks and a dishwasher help with dinner clean-up after cooking a gourmet dinner. 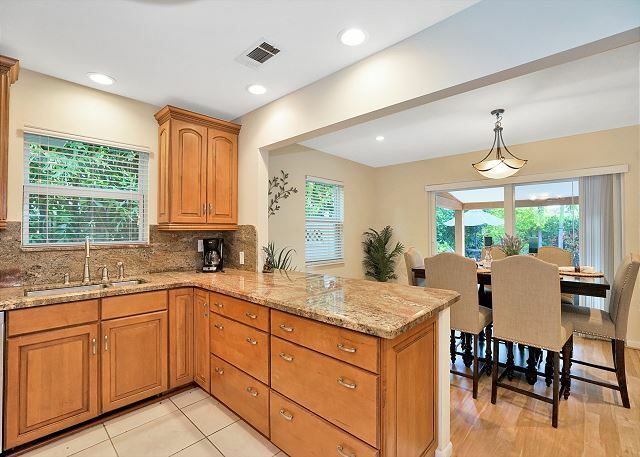 Large counter top makes it easy to serve your dinners at night. There is plenty of pantry space when stocking up on food supplies. 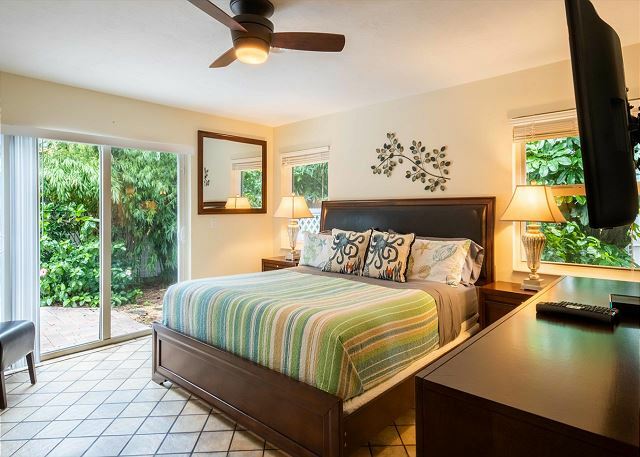 A king size bed is situated so that you can overlook the pool and the landscaped backyard area. Be pampered with the convenience of the elegant master en-suite. 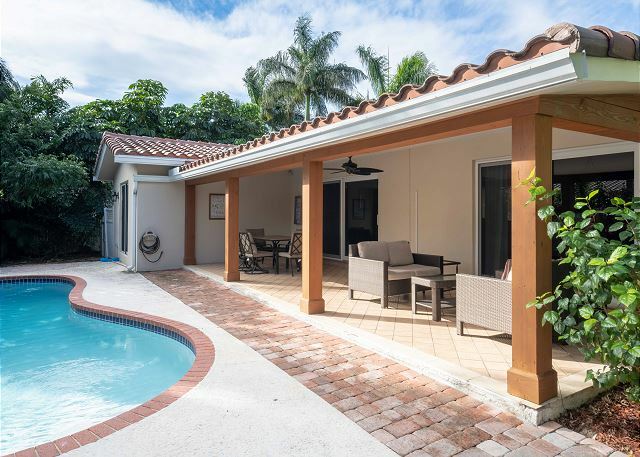 Relax in the master suite overlooking the pool deck through the sliding glass doors. 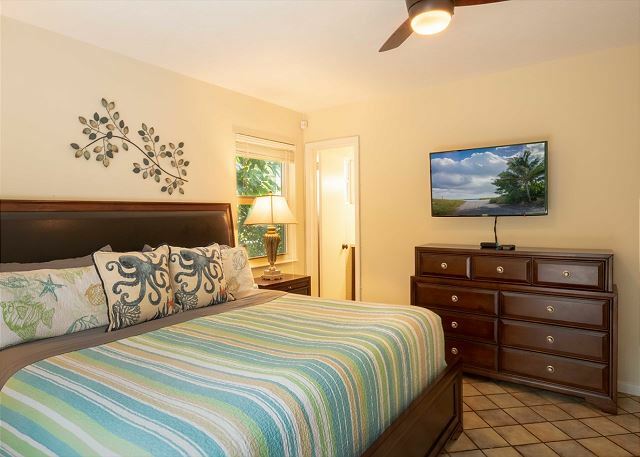 Enjoy the mounted 40" flat screen TV from comfortable bed in the master suite to watch your favorite late night shows. Master En-Suite has glass enclosed step in shower with pull out shower head for convenience. 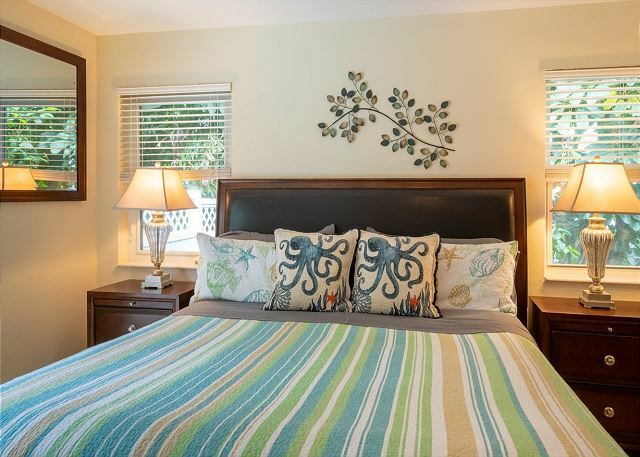 The second bedroom has a queen-size bed that can easily sleep two comfortably. Watch your late night shows on the flat TV screen before snoozing off. 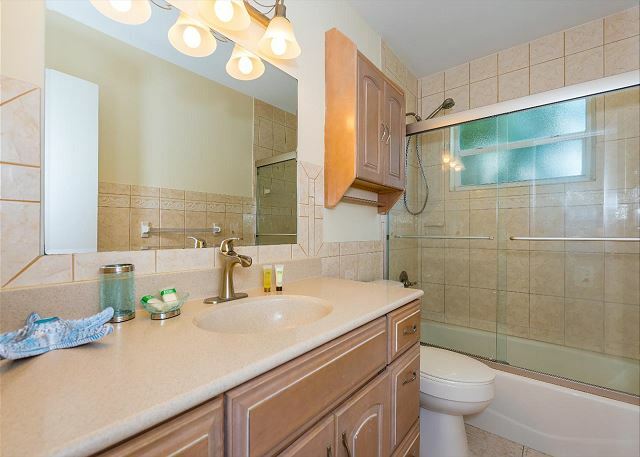 The luxurious second bathroom has a shower/tub combo for pampering yourself before bed. Light up the gas grill on the patio and enjoy your favorite catch of the day. Covered patio and outdoor seating area with umbrella is perfect for staying in the shade on a hot sunny day. 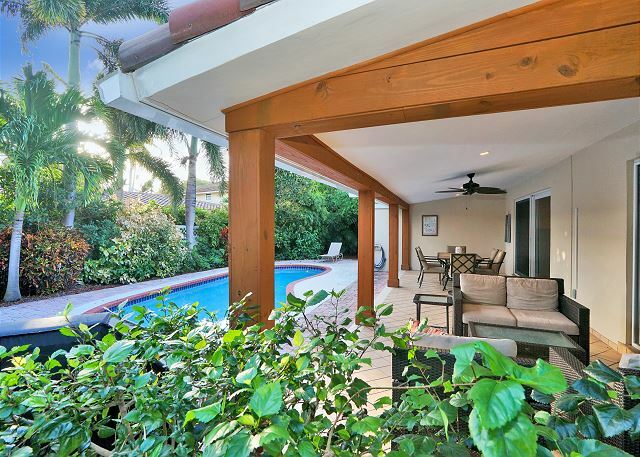 Lounge under the large covered patio and gaze out over the lovely pool and pool deck. 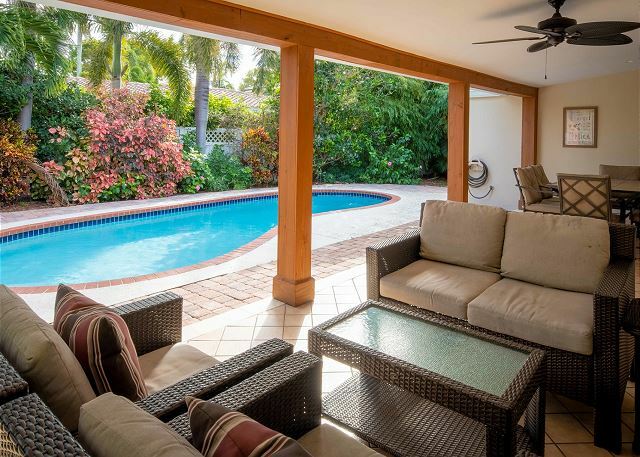 Take in the shade under the large covered patio and lounge in the comfty sofas. 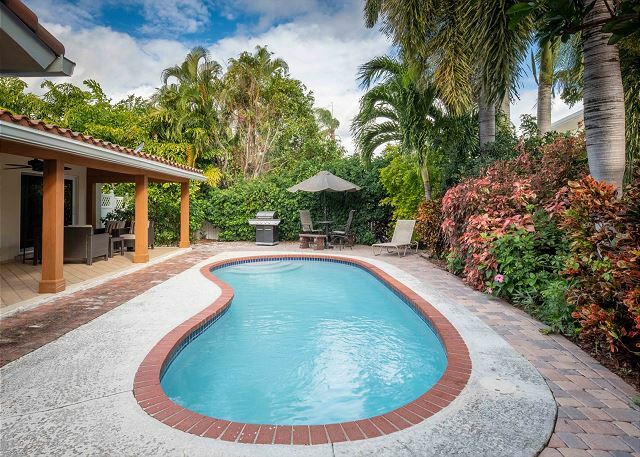 Take your pick of the private pool or the beach just minutes away. 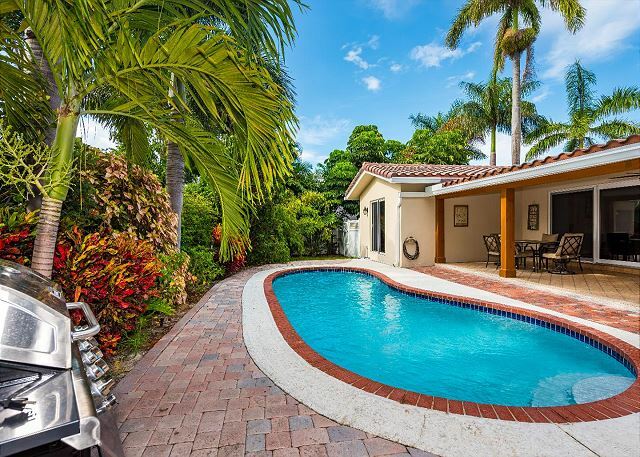 Splash and cool off in the large kidney shape pool and then relax under the umbrella or covered patio areas. 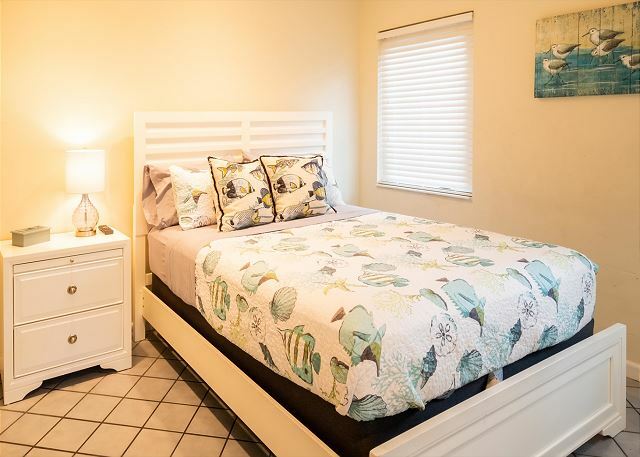 This vacation rental is near the beach and the nightlife offered in Pompano Beach. 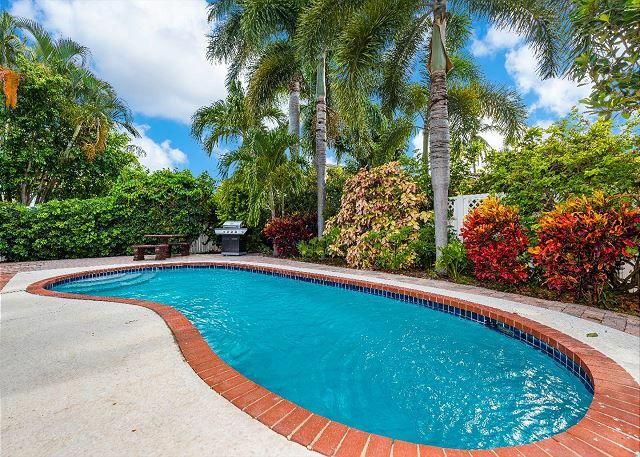 Your tropically landscaped backyard with a large pool and pool deck. At Affinity Coral, spend the day fishing off the pier, sinking your toes into powdery white sand, or strolling beside the waves collecting shells. Ready to unwind at home? 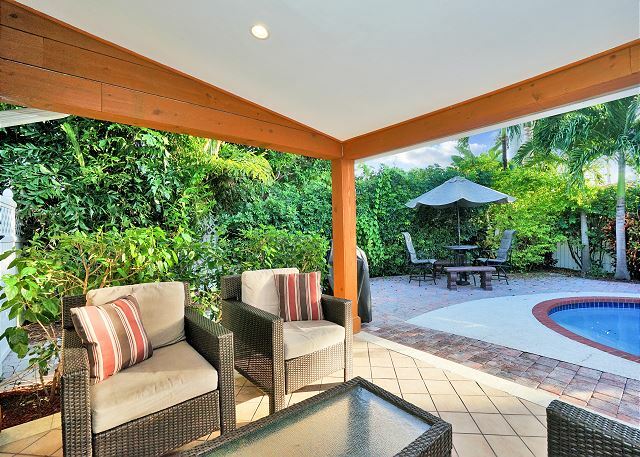 Soak up the sun in your tropically landscaped backyard with a pool, gas grill, and comfy outdoor sitting areas. 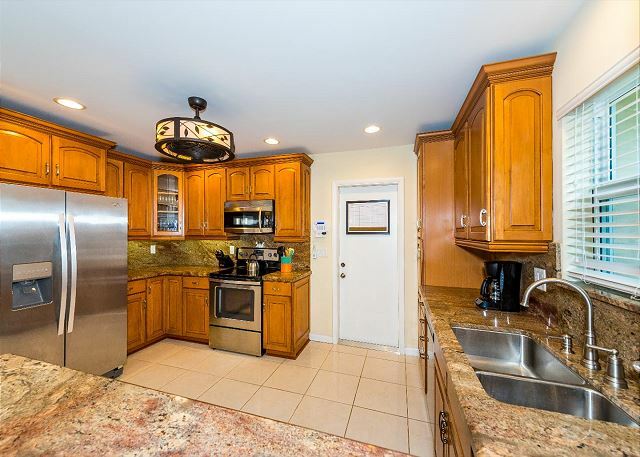 Or cook meals in a gourmet kitchen boasting top-of-the-line appliances. 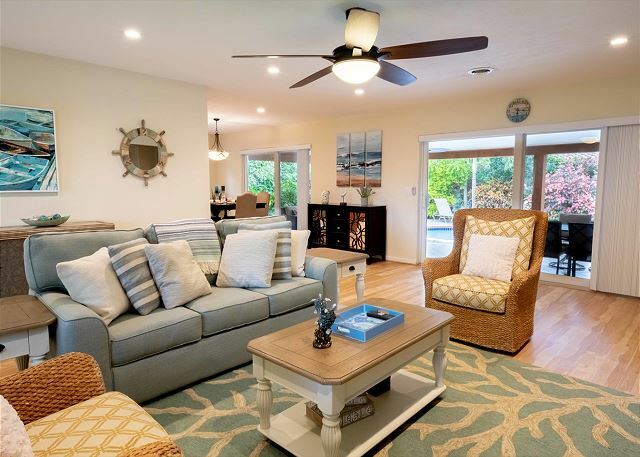 Inside, nautical-themed artwork and decor bring a "beachy" vibe to a large and light-filled living room. 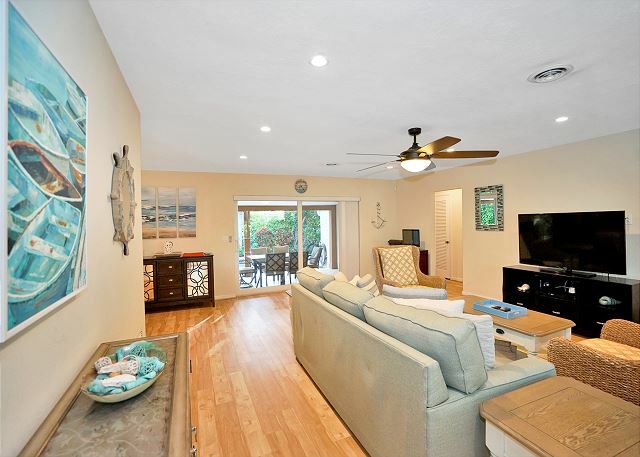 An oversize sofa with a queen size pullout bed and two wicker accent chairs surround a driftwood coffee table, and there’s a 60” flat screen TV for your evening entertainment. 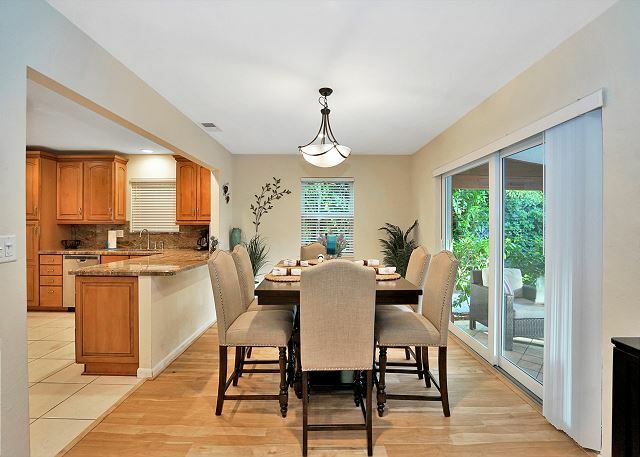 Hardwood floors extend into the dining area with seating for six around an elegant dark wood table. Enjoy your favorite home cooked meal or just order in. 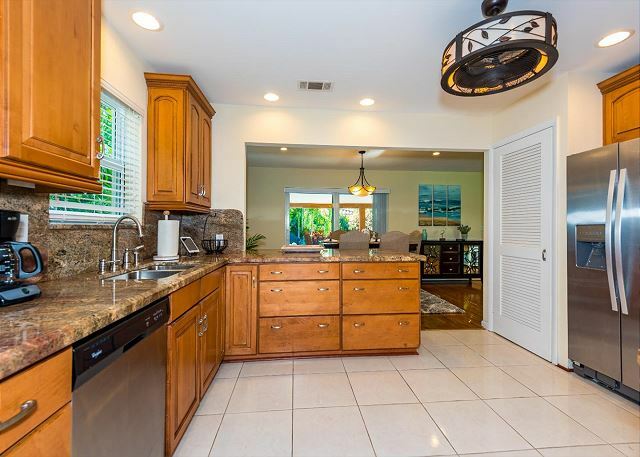 The open kitchen overlooks the dining room and has everything necessary to prepare a feast for a crowd. 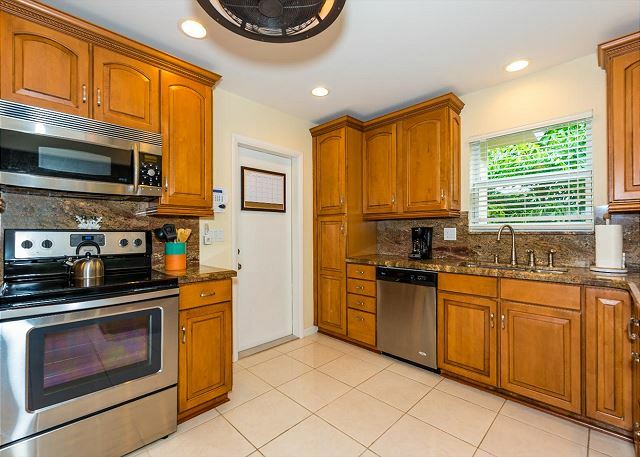 Granite counter tops and solid wood cabinetry sit alongside stainless steel appliances, including a large French-door refrigerator. 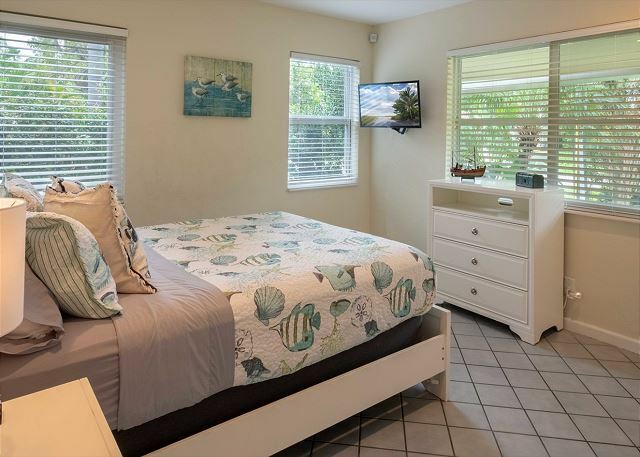 Curl up in a king-size bed in the master bedroom, featuring a 40" flat screen TV, storage closet, sitting chair, and access to the pool area—perfect for quick morning dips before breakfast. 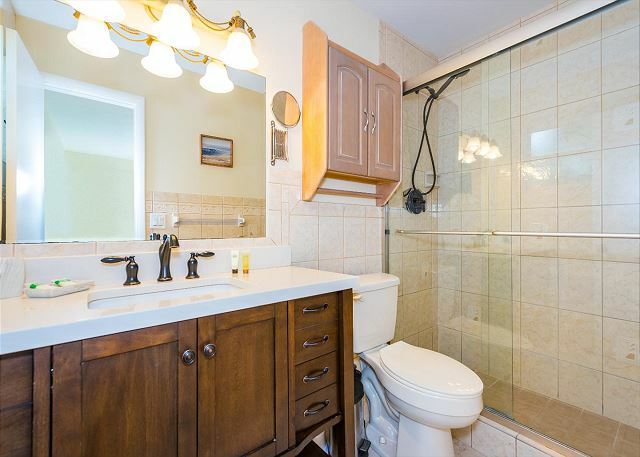 Freshen up in an en-suite bathroom with a walk-in shower. 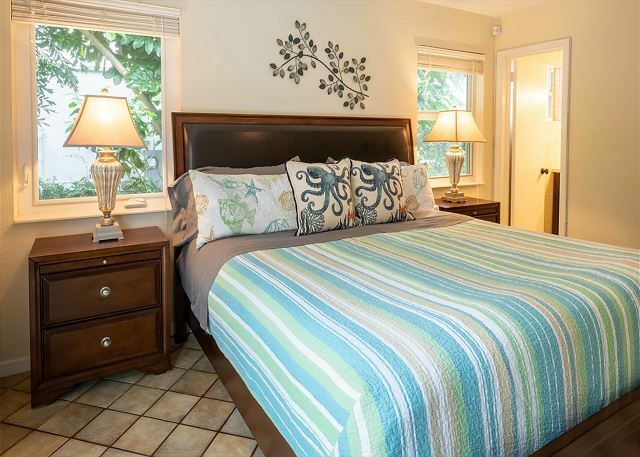 YOUR SECOND GUEST BEDROOM: Tiled floors and large windows bring a bright feel to the two bedrooms, which accommodate four guests. An airy second bedroom has a queen-size bed, closet, and 32” flat screen TV. The house also has a guest bathroom with a tub/shower combination, and a washer/dryer. There is parking space for four cars in the driveway. 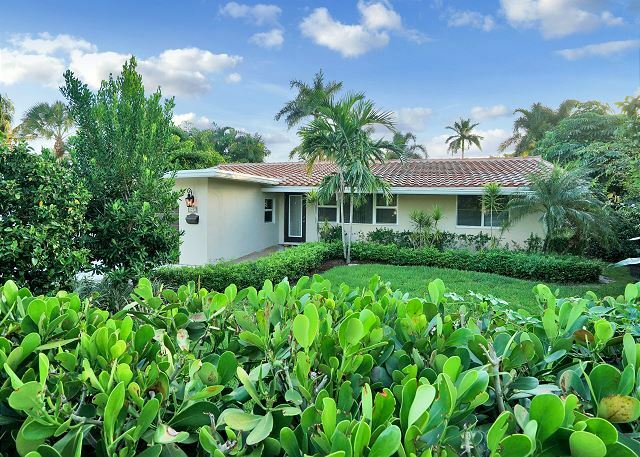 Native Florida foliage brings a lush feel to the tropically landscaped backyard with a sparkling pool and gas grill. 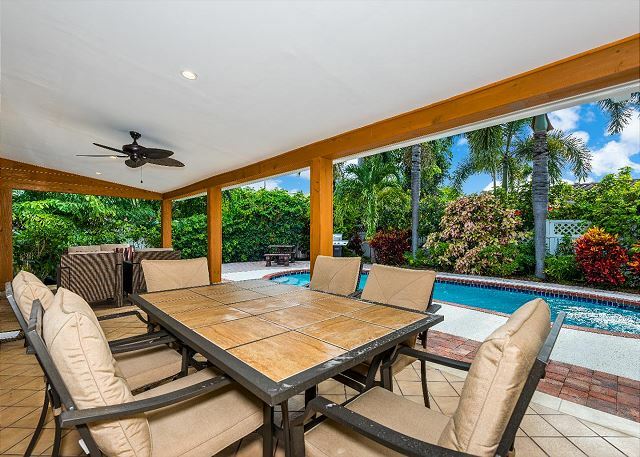 Gather around the four-person poolside table, or head to the sitting area on the patio with cushioned wicker seating for four. 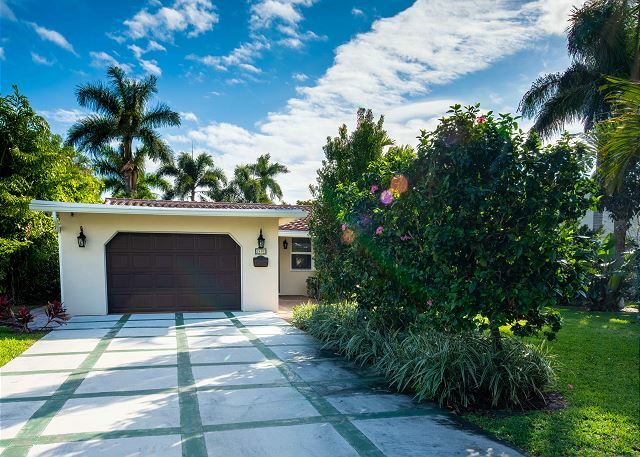 The Intracoastal Waterway is just one block from the house, while the sandy shores of Pompano Beach are just an 8-minute bike ride away (or a quick 5-minute drive). Get your morning coffee at Starbucks (a 10-minute walk), and stroll 15 minutes to find an eclectic dining scene encompassing Thai, Chinese, Italian, German, and American cuisine. There are plenty of ways to relax or get active at Pompano Community Park (a 4-minute drive away), with tennis courts, playgrounds, outdoor gym stations and a running trail. Hit the fairways at Pompano Beach Golf Course.